Check back often for the latest and greatest of the Triangle area's real estate news, stats, and information. We feature all Raleigh real estate trends and listings. Here is our quick update for the Chatham County real estate market for the week of 3-18-19. These stats cover all detached single family home sales in Chatham County. Create your own Chatham County market report for your own neighborhood or area. Contact Pittsboro REALTOR Ryan Ford if you'd like more detailed information on your neighborhood in Chatham County, to see your home's value, or to receive automatic emails when new listings go for sale in your neighborhood. Here is our quick update for the Chatham County real estate market for the week of 1-11-19. These stats cover all detached single family home sales in Chatham County. Create your own Chatham County market report for your own neighborhood or area. Getting closer to retirement can be both a scary and exciting time. You will likely have the opportunity to choose a new city, possibly in a new part of the country. If Durham, NC is not already on your short list, it needs to be added. The 2018 U.S. News rankings for best places to retire in the United States placed Durham among the top 15. With an annual average temperature of 60 degrees Fahrenheit and almost no chance of snow, Durham’s temperate climate is a great choice for seniors looking to escape the brutal winters of the northern part of the country. Housing in Durham NC is more affordable than most similarly sized metropolitan areas across the United States when you compare housing costs. 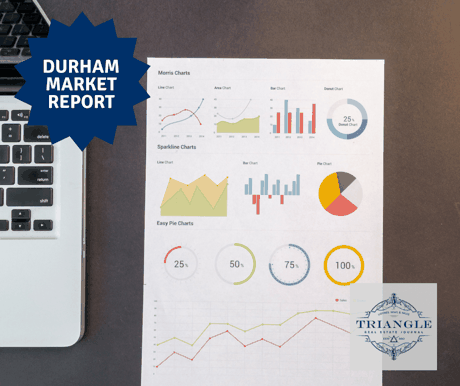 The Triangle MLS calculates the median price of homes sold in Durham in 2018 to be $250,000, which is just above the overall national median sold price of $225,700. 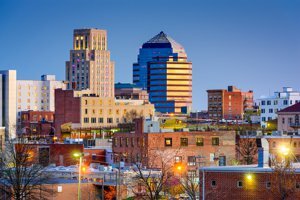 Durham offers much more than your average US town, so the value you can get from your home in this city versus other places is worth noting for seniors. Additionally, you can also expect to save on property taxes in Durham. The average current tax rate is 1.23%, so for an average priced home, you will pay about $2,727 in annual property taxes. If you do not have a lot of income or retirement savings, Durham could still be the right place for you. The city government takes measures to promote better housing accommodations for those of limited means. Earlier in 2018, the Durham County Commissioners unanimously voted to approve about 300 new apartments in the downtown area for people who make less than 80% of the area income median. Durham’s nickname is “The City of Medicine,” which is extremely fitting given the healthcare access residents enjoy. The city is home to an impressive array of healthcare settings and offerings. This is primarily due to the proximity of the medical, nursing and pharmacy schools at UNC-Chapel Hill and Duke University. If you are a veteran or have a loved one who has served, it’s worth noting that there is a VA hospital within 30 miles of Durham. If you have health concerns that go beyond what you think you can easily manage on your own, you should know that Durham has more housing options than just regular homes. There are many assisted living facilities and other senior care options in the area. These options are most appropriate for seniors who currently need or may soon need assistance with activities of daily living. The many senior living communities in the region can provide peace of mind for seniors and their families. These services can help you stay happy and healthy while also giving you an opportunity to meet new friends in your new town. Many people refer to their retirement as their “Golden Years,” and there’s no reason why you shouldn’t experience the same thing. Contact Us if you'd like more detailed information on life in Durham, to see your home's value, or to receive automatic emails when new listings go up for sale in your target neighborhoods. Here is our quick update for the Chatham County real estate market for the week of 10-1-18. These stats cover all detached single family home sales in Chatham County. Create your own Chatham County market report for your own neighborhood or area. Here is our quick update for the Durham NC real estate market for the week of 9-26-18. These stats cover all detached single family home sales in Durham. Please contact us for a customized report on your neighborhood if you're thinking of buying or selling your Durham NC home. Contact Us if you'd like more detailed information on your neighborhood in Durham, to see your home's value, or to receive automatic emails when new listings go for sale in your neighborhood. Here is our quick update for the Durham NC real estate market for the week of 8-10-18. These stats cover all detached single family home sales in Durham. Please contact us for a customized report on your neighborhood if you're thinking of buying or selling your Durham NC home. Here is our quick update for the Chatham County real estate market for the week of 8-2-18. These stats cover all detached single family home sales in Chatham County. Create your own Chatham County market report for your own neighborhood or area. Here is our quick Pittsboro real estate market update for 7-31-18. These stats cover all single family home sales in Pittsboro NC. Create your own customized market report of your neighborhood or area. Give us a call, send us a text, or send us an email if you'd like more detailed information on your neighborhood in Pittsboro, what your home's value is today, or to receive automatic emails when new listings go live in your neighborhood. Here is our quick update for the Chatham County real estate market for the week of 7-25-18. These stats cover all detached single family home sales in Chatham County. Please contact us for a customized report on your Chatham County home or neighborhood. 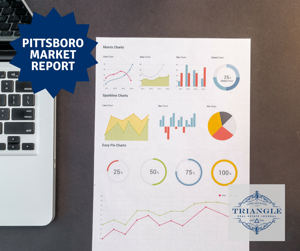 Here is our quick Pittsboro real estate market update for 6-6-18. These stats cover all single family home sales in Pittsboro NC. Please contact us for a customized report on your neighborhood if you're thinking of buying or selling.